I’ve definitely had (many) moments while traveling in which I’ve cursed my food allergies or have been scared to set off on a trip for fear of not being able to find anything I could eat. 2: Carry around gluten-free bread and crackers with you everywhere. 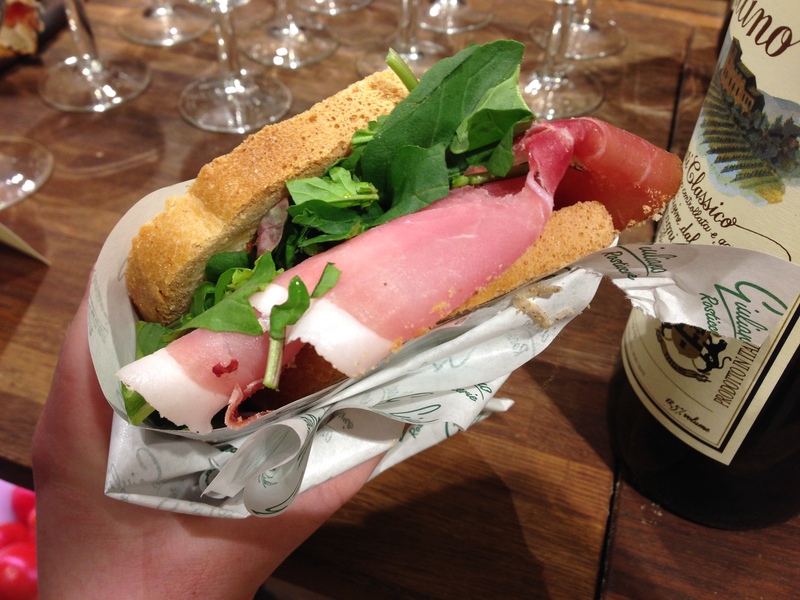 In Italy, I went to great local delis where they offered to use bread that I brought to make a sandwich. 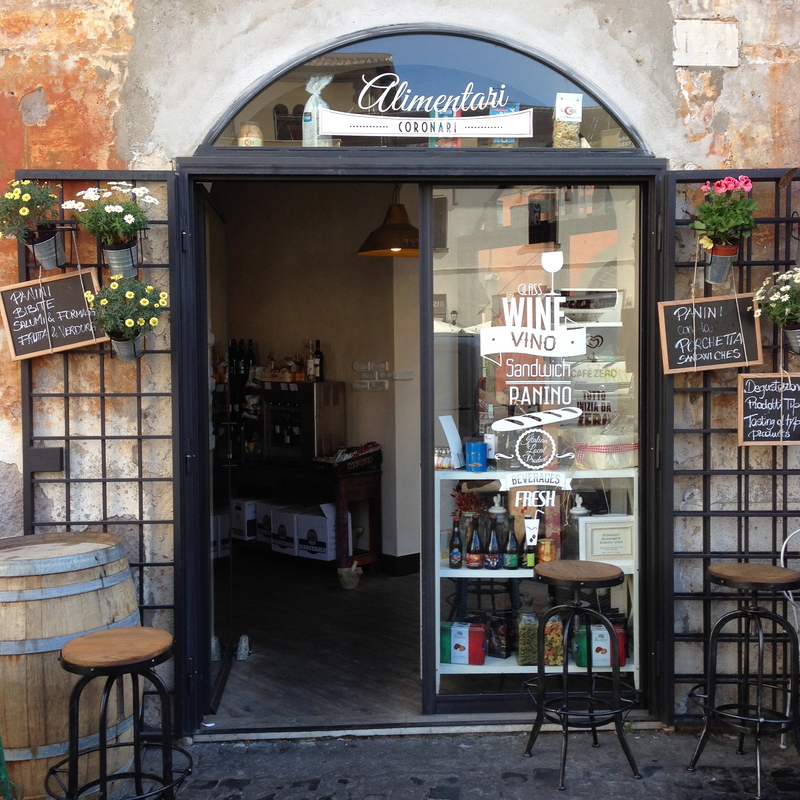 That meant I got to have a delicious sandwich filled with local goodies — and they usually took a few euros off the price. And they were so sweet about it. Amazing! 4: Wander. Talk to the owners of little health food stores you find. Chat with the people at your hostel/hotel reception. They might have great tips for you! When my parents came to visit and we went to Amsterdam, my mom emailed the hotel ahead to ask if they had suggestions, and they provided a full list of traditional Dutch restaurants with gluten-free menus. She did the same thing at a hotel in Germany, and the receptionist brought me a fresh gluten-free baguette each morning. Sometimes you just have to ask! 5: GO TO FARMERS MARKETS. 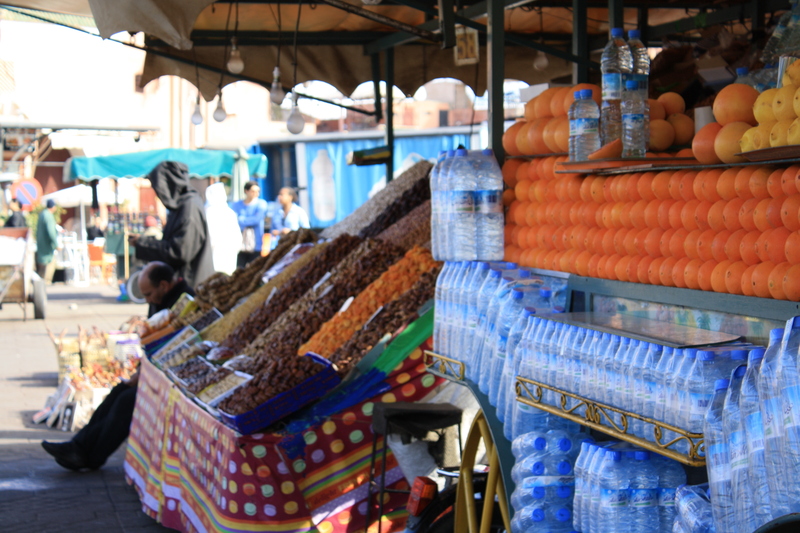 Fresh fruits & veg are always a safe option and a great way to experience the local food culture. 6: Similarly, get good at making picnic meals sourced from different markets. I usually find hummus, a side salad, crackers, fruit, veggies, whatever I can find – and then make a fun little picnic. 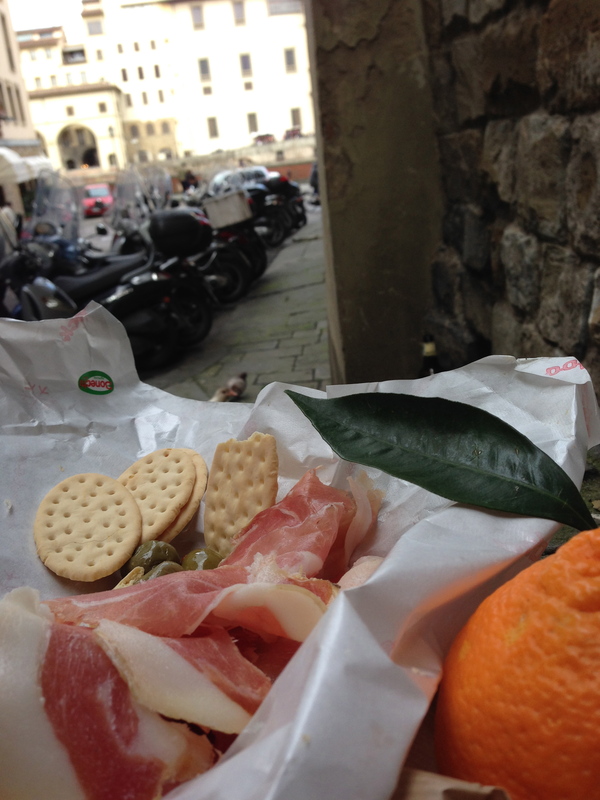 In Florence I did this perfectly: gluten-free crackers from the supermarket, prosciutto from a small deli, and green olives and an orange from a local grocer. I ate it on a secluded staircase overlooking the river and it is one of my favorite memories from that trip. 7: Relax. Know that you won’t get to try everything you want to, but remember that by avoiding the food you can’t eat you will have more energy and feel well enough to soak up every other aspect of the trip. Plus, it’s fun to have to get creative. I’ve found great little places and have had conversations with some wonderful people because I had to venture past the main tourist spots to find options for myself. It’s also crazy satisfying when you figure it out (and you will). 8: Have a back-up plan. If you have food allergies, it’s likely your stomach is more sensitive than the average person’s. Have some options at the ready. I like to travel with probiotics, ginger tea, and over the counter stomach medicine. 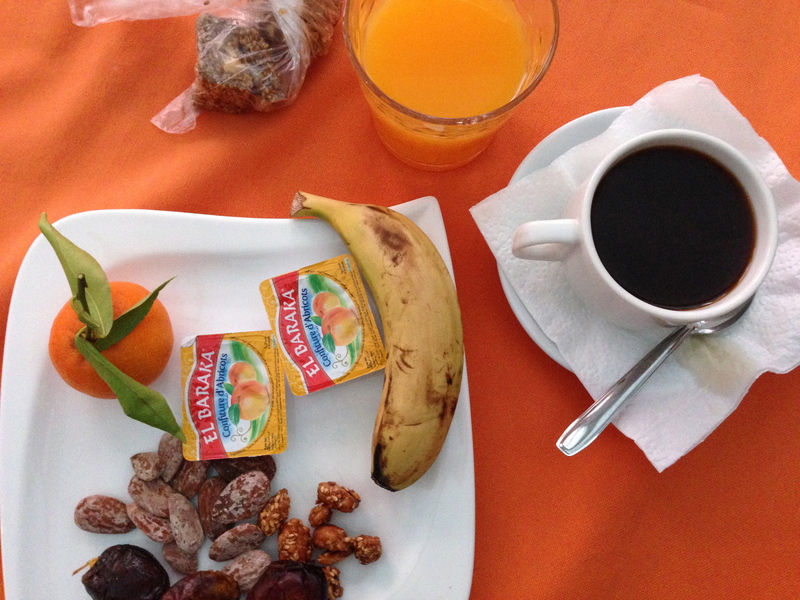 Check out my other post on how to deal with a sensitive stomach when you’re traveling for more tips. Hopefully you won’t need it, but it’s so worth it to be prepared. 9: Check out my city-specific guides on gluten-free (dairy-free/vegan/soy-free) options! I already have a couple up and will continue to post more.